The New Jersey medical misdiagnosis lawyers at the East Brunswick and Perth Amboy New Jersey personal injury law firm of Martin Kane Kuper LLC fight on a daily basis for victims of serious injury caused by medical negligence and medical malpractice. They work for both defendants and plaintiffs statewide in New Jersey and in Middlesex County. Martin Kane Kuper LLC, as experienced New Jersey medical misdiagnosis lawyers, are one of the few law firms that handles medical negligence and medical malpractice litigation. 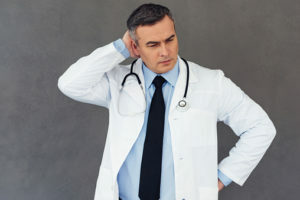 Medical misdiagnosis can affect anyone and the trial lawyers in our East Brunswick and Perth Amboy New Jersey personal injury law firm have won large court-awarded settlements and verdicts for customers around New Jersey. Feel free to call our East Brunswick New Jersey personal injury law firm at 1-877-468-3209 and tell one of our New Jersey medical misdiagnosis lawyers about your issue. The team of Martin Kane Kuper LLC lawyers will provide a true assessment – as part of a free, no-obligation consultation – of whether or not you should pursue your medical negligence and medical malpractice claim. When you call, you will learn that our New Jersey medical misdiagnosis lawyers have won large awards for surgical errors and medical misdiagnosis, resulting in nerve damage, organ damage, infection, brain damage or death; emergency room mistakes, such as a failure to recognize signs of stroke, heart attack or other grave conditions; and problems related to plastic surgery and ophthalmology procedures.